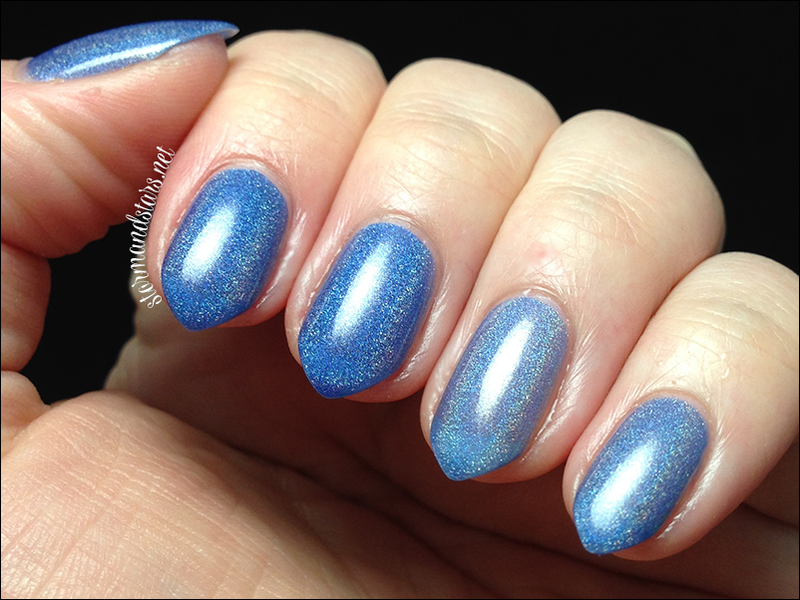 I have a super exciting post for you todau and I have to get it up very quickly because these lacquers go up in a half hour from me typing this! WOW! I'm running a little behind due to some snags in my schedule, but lets get to it! 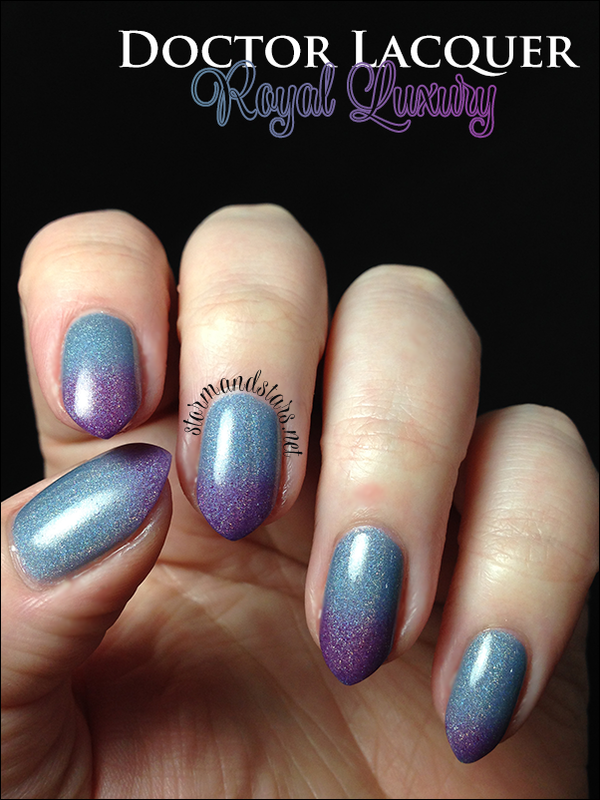 Doctor Lacquer is one of my favorite brands for thermal polish and now Angelyn is venturing into the world of Holo as well. 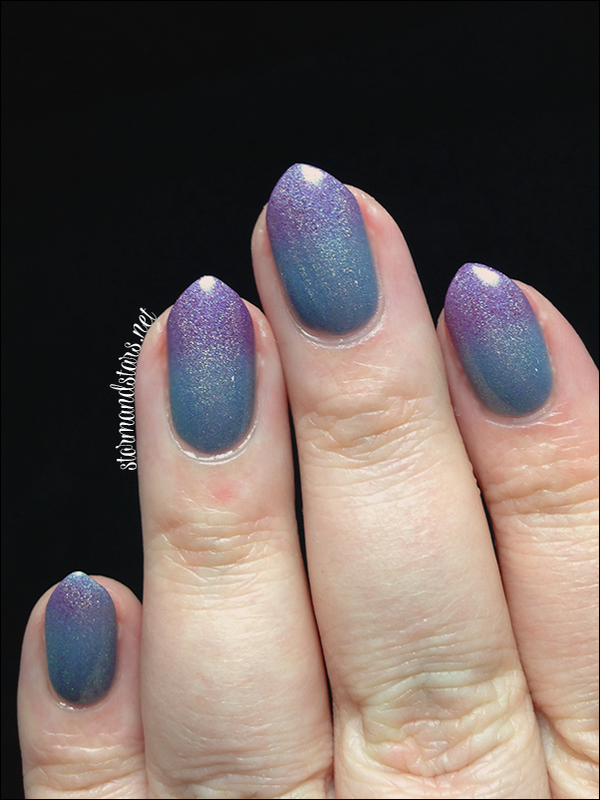 Lets just say I'm not disappointed ;) These shades all had just about the same formula, were 2-3 easy coats each and needed topcoat to be super shiny. The photos really speak for themselves though. Wanna see? Thought so! 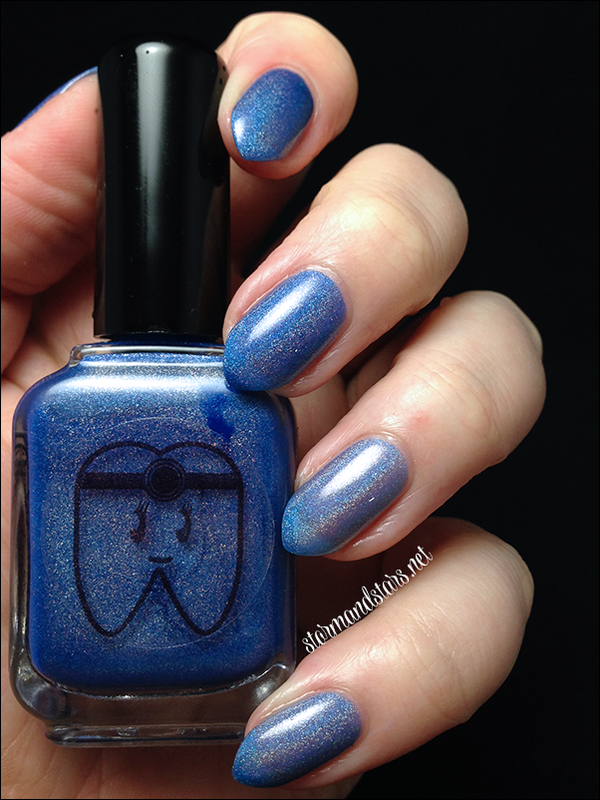 First up is my favorite of this collection, here is Malicious Pleasure! Malicious Pleasure is so dreamy. 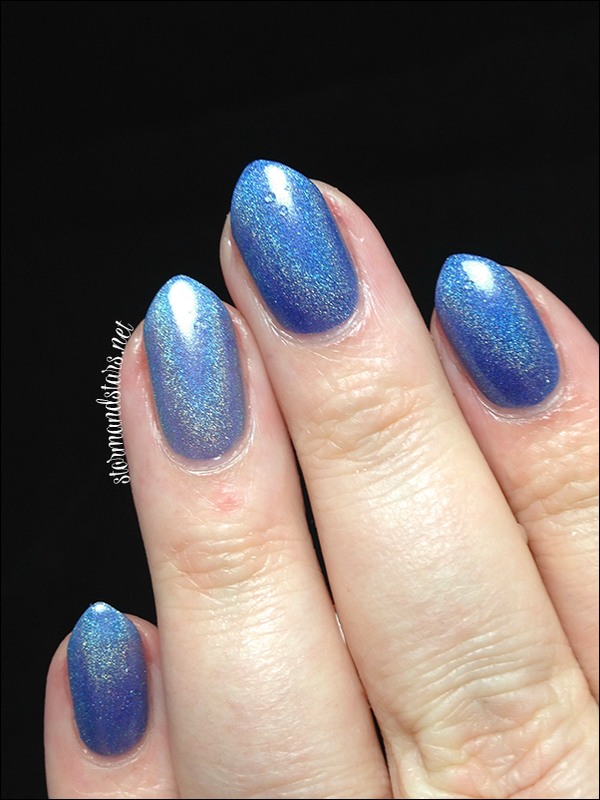 Although subtle, this thermal is so pretty and the holo effect is quite stronger than I expected! I am completely in love with this color!! 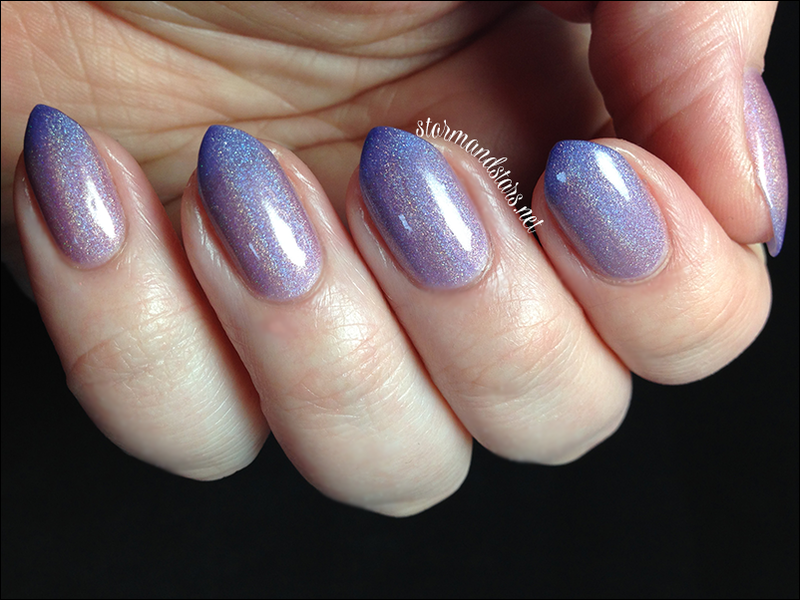 I used three coats of Malicious Pleasure plus topcoat for these photos. I found it just a tad thick, but not hard to work with. I love the color combo on this stunner! The holo is super strong. I really have nothing bad to say about this. 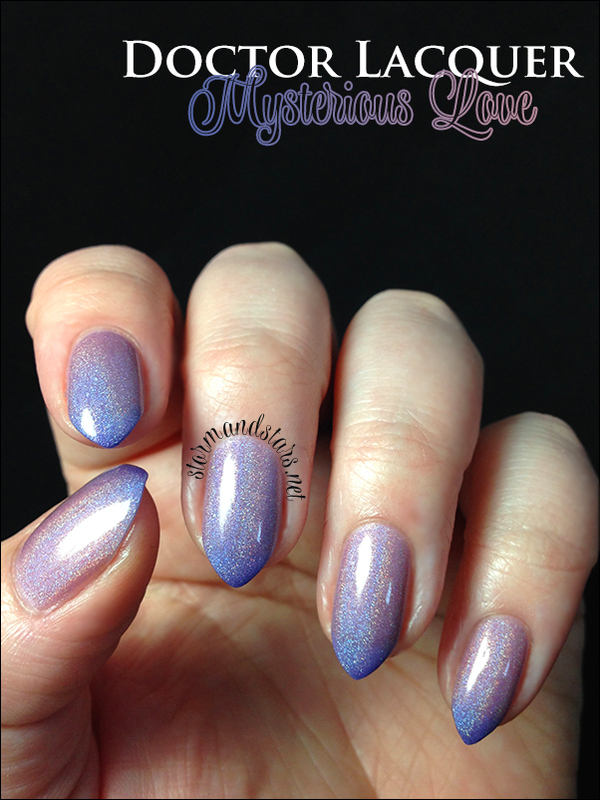 Mysterious Love went on perfectly in two coats plus topcoat. This next one was a little camera shy. Meet Natural Flirt. 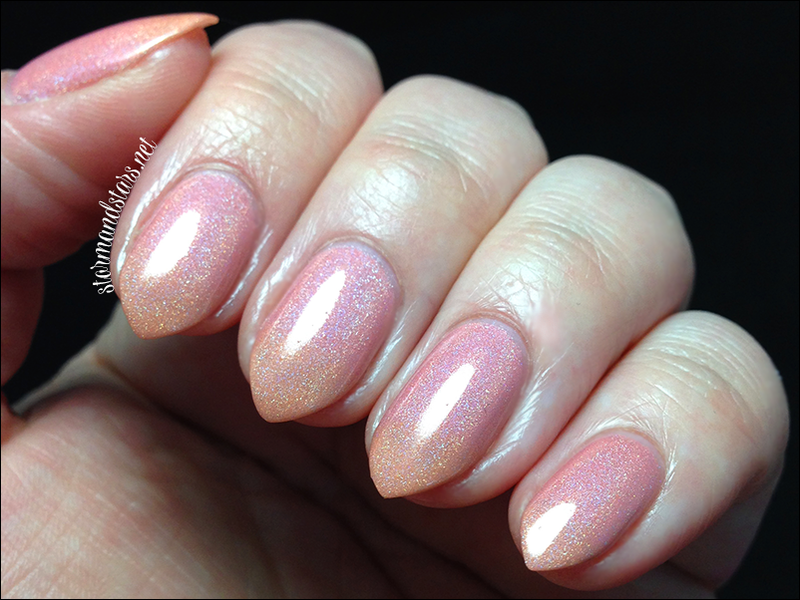 Natural Flirt is supposed to be a light to dark mauve thermal holo. As you can see, my camera thinks it is grey. Either way it is gorgeous. 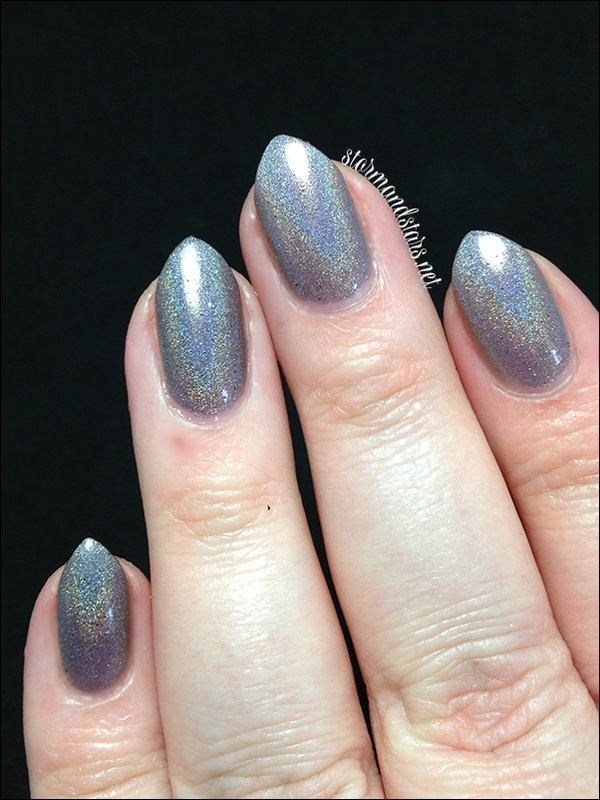 And just look at that HOLO! 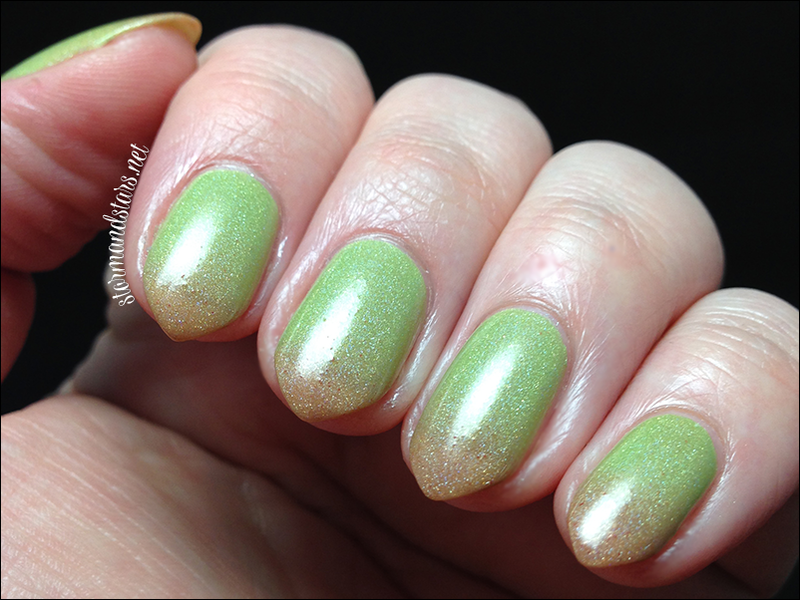 Natural Flirt took three coats to reach opacity and I used a topcoat to help it shine. 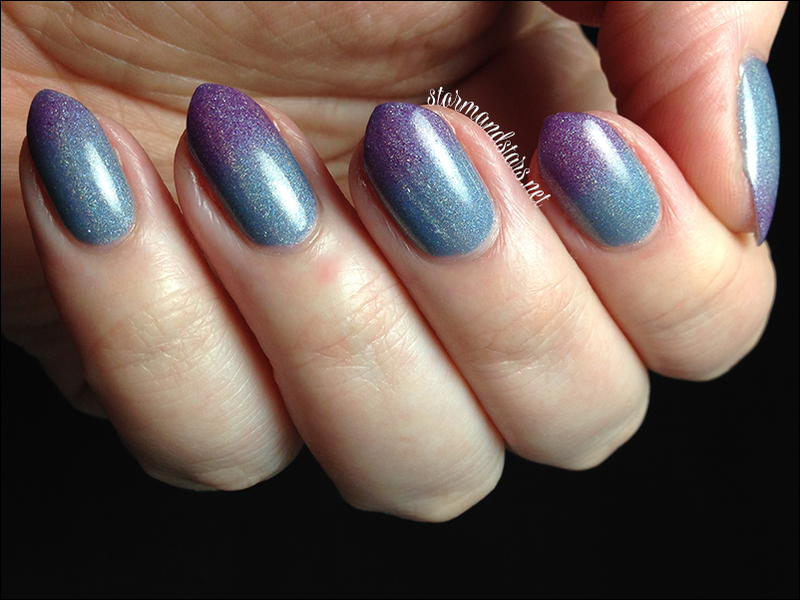 I did have some unmixed pigment in this one, but in person on the nail it really wasn't noticeable! 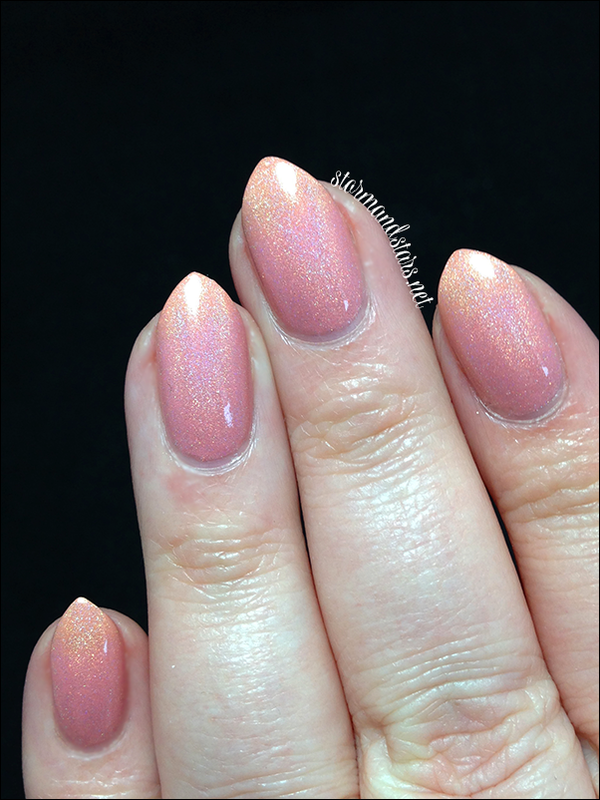 This next delicious thermal is Optimistic Youth! Yum! 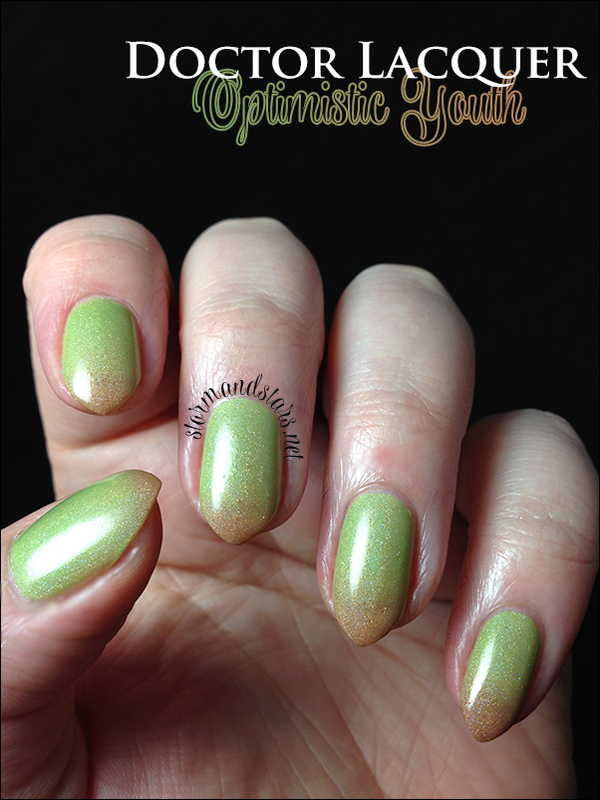 Optimistic Youth is a juicy green to caramel colored thermal with a subtle holo effect. I did have some pigment that didn't quit mix with this color. It didn't really bother me, and from further away it wasn't even noticeable, but if that is something that may irk you, then you might want to skip this shade. 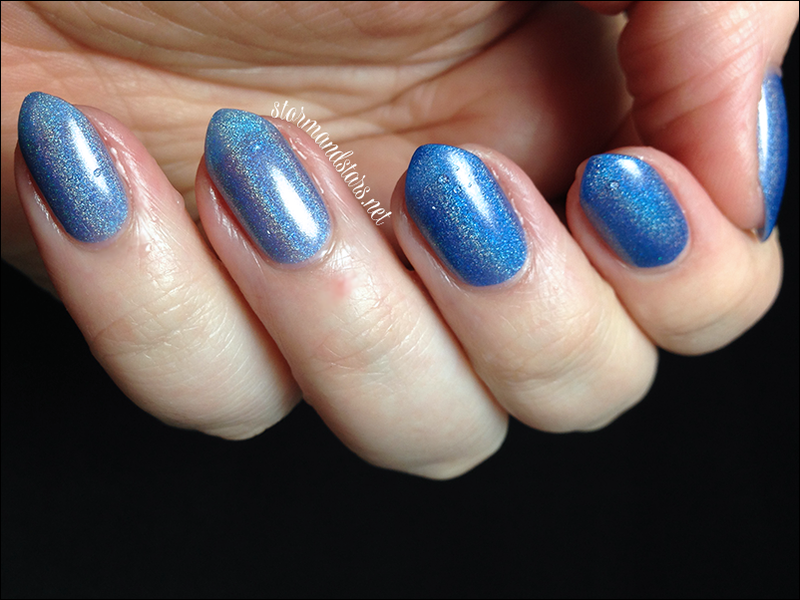 I used three coats plus topcoat for these photos. 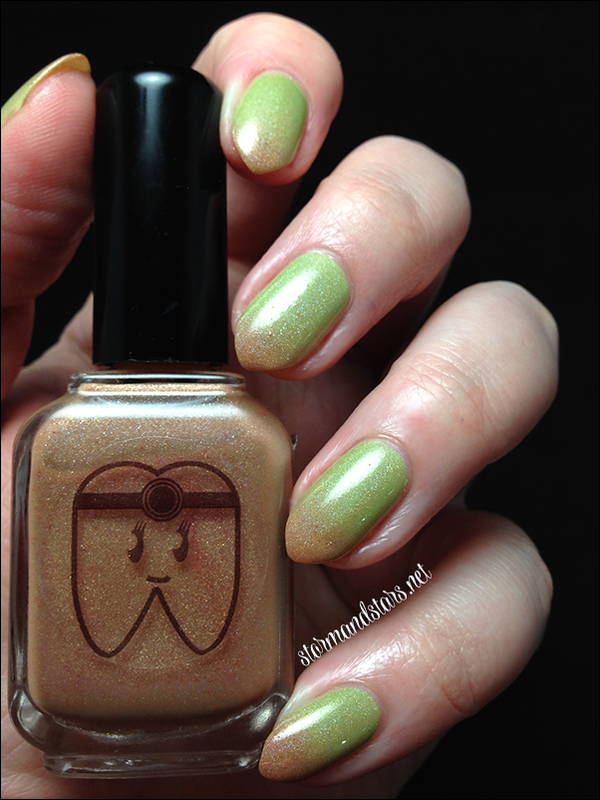 The first lacquer I wore when I got this collection was the next one. Here is Royal Luxury. 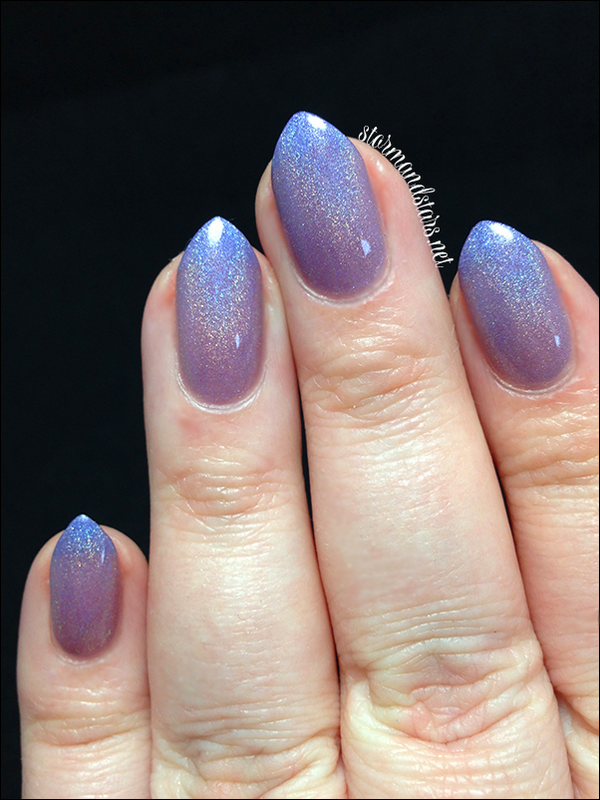 Royal Luxury is a purple to blue thermal holo with a very strong shift from blue to purple when it gets cold. I really loved wearing this one. 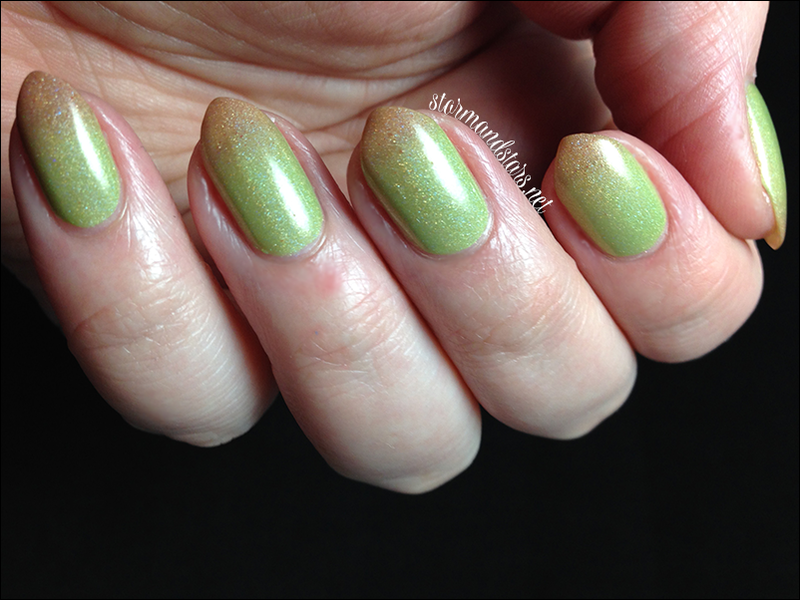 I used three coats plus topcoat for this lacquer. 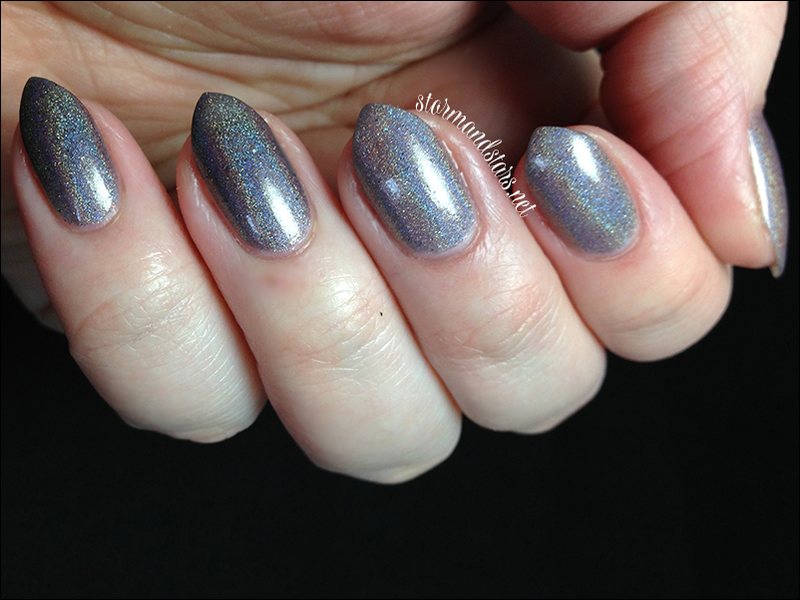 I did have some wrinkling after I applied the topcoat, but I think I just didn't wait long enough for the layers to dry or it was my base because when I wore it before I didn't have any wrinkling. Last but certainly not least is my surprise love of the bunch, here is True Compassion! 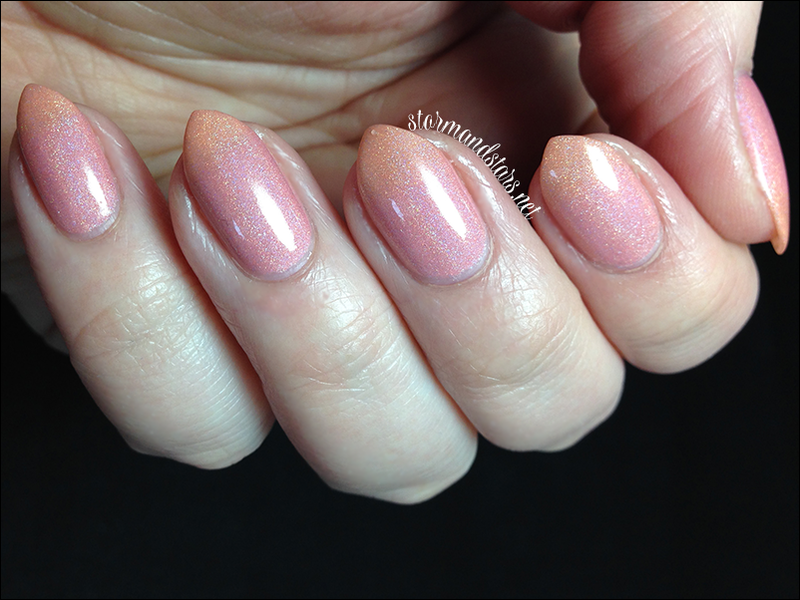 I needed just two coats of True Compassion for these photos and then I used a topcoat to really make it shine! 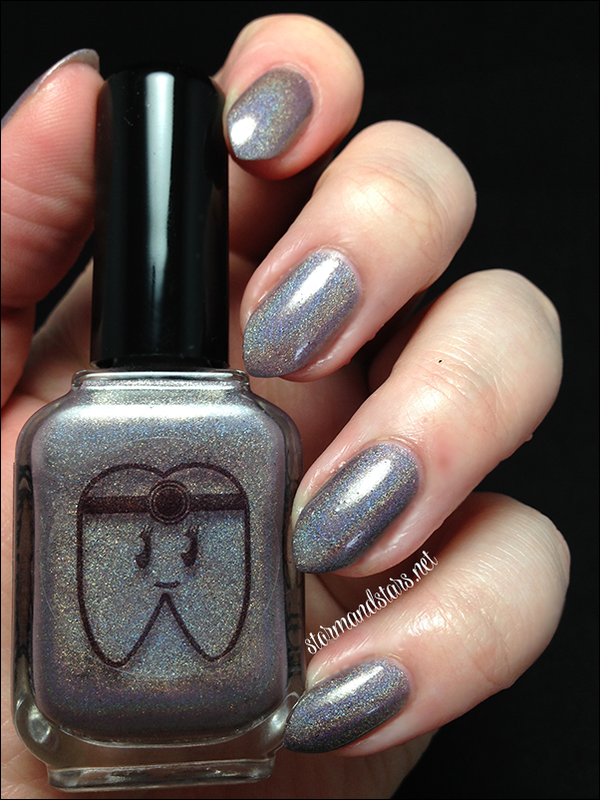 One more obligatory holo shot ought to do it! Looooove! I hope you enjoyed these as much as I do! 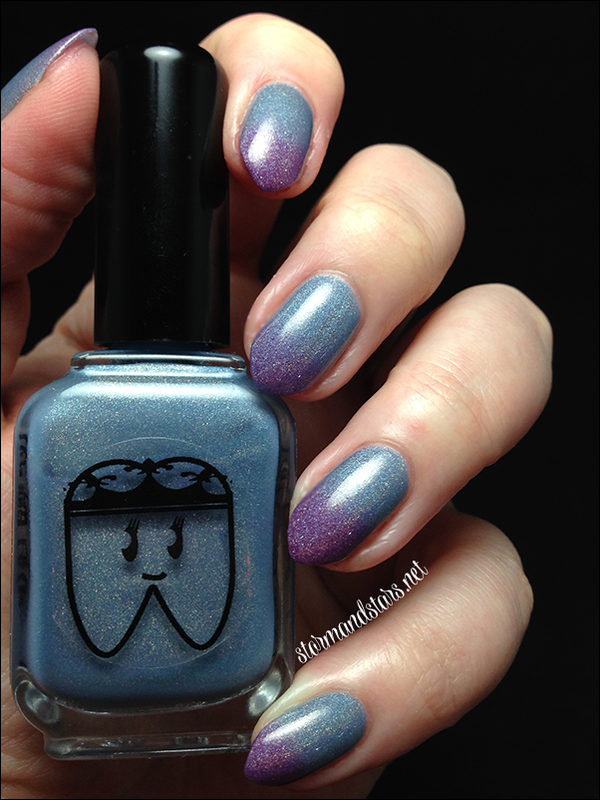 These literally just went on sale over at Doctor Lacquer! Why are you still here??? 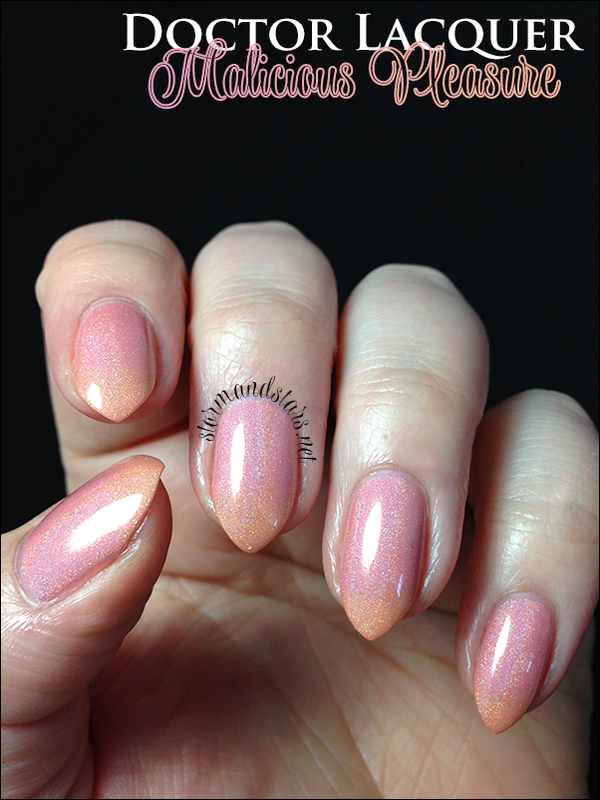 You can also follow Angelyn on Instagram for updates on restocks and other swatches. 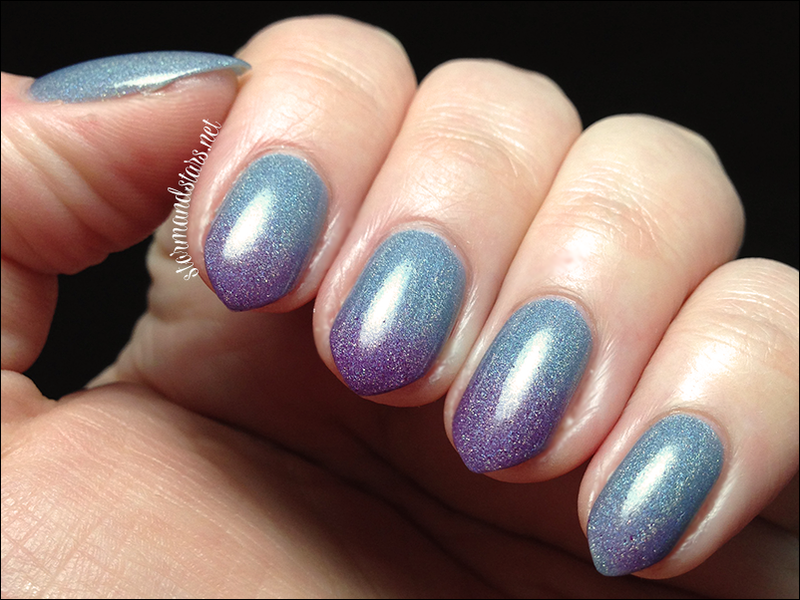 The combination of holo AND thermal in these polishes is outstandingly beautiful. Your nail shape somehow brings drama and excitement to these colors, too. Your photos are just wonderful!